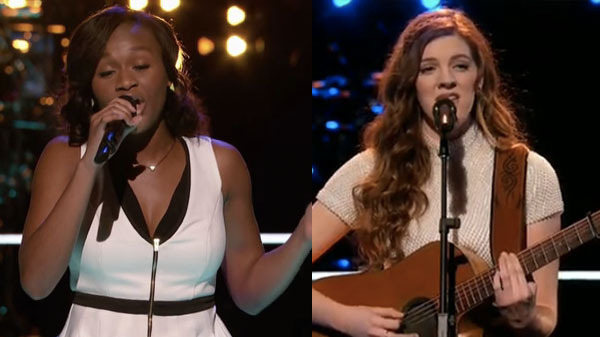 Emily Keener and Shalyah Fearing battled it out for a spot at Team Pharrell on The Voice Season 10 Knockout Rounds, Monday, March 28, 2016. “Emily, you took the notes Miley gave to you. Shalyah, you came in swinging like from the parking lot. You are so much more musically mature. Both of you guys killed this,” said Pharrell Williams.